* Lovely coated cotton poplin fabric in a peppled Ace of Spades pattern; fabric is stain resistent and easy to keep clean. * Black peppled leather trim. 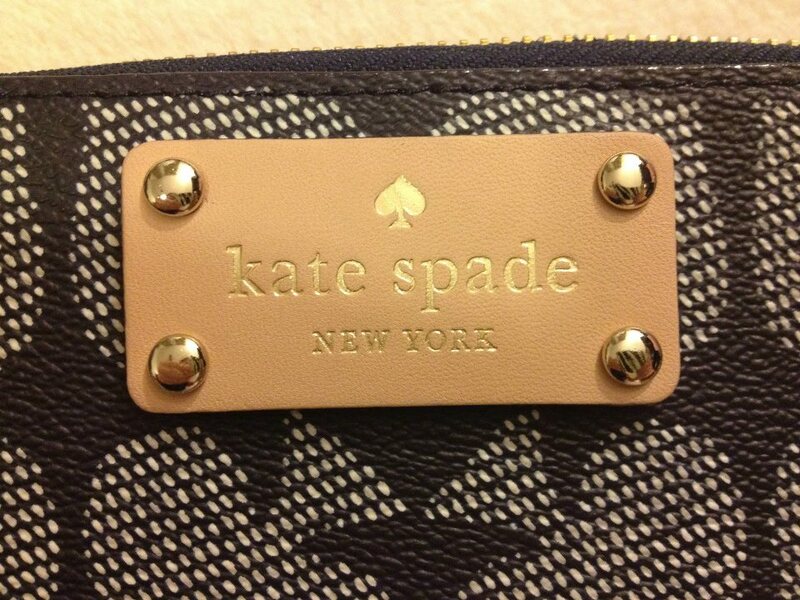 * Black patent leather Kate Spade license plate on front. * 14K light gold hardward throughout. * Zipper goes three-quarters away around with black patent leather zipper pull. 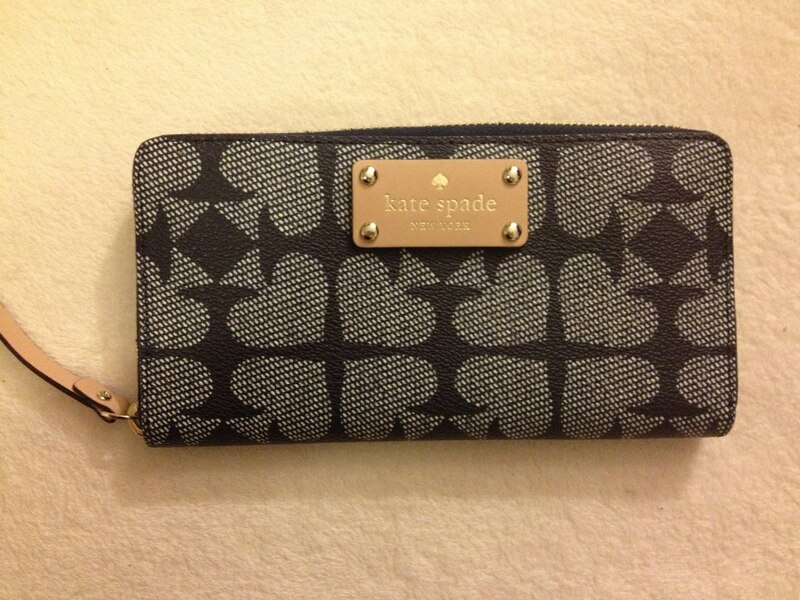 * Back of the wallet has a full-length slip comprtment. -A middle zippered compartment for coins with a small black leather zipper pull. -A second open middle compartment perfect for receipts, notes, etc. 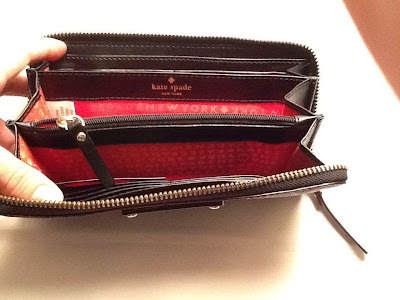 -Each end has 6 credit card slots (for a total of 12), one full-length billfold compartmen (for a total of 2) and an open compartment (for a total of 3, including the middle compartment). 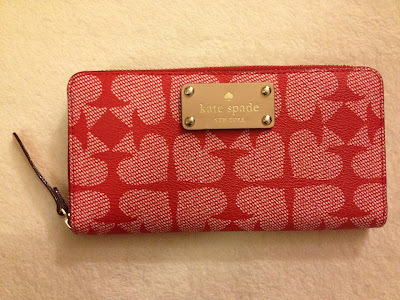 * Interior is a combination of black leather and a red Kate Spade jacquard sateen print fabric. 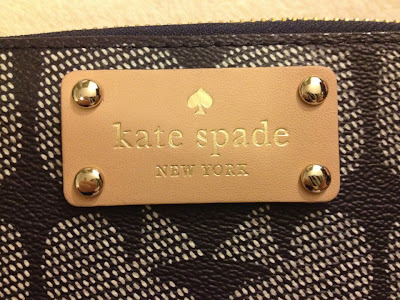 * Kate Spade, New York, is embossed in gold on the interior of the wallet. * Approximate measurements: 7.75" (l) x 4" (h).